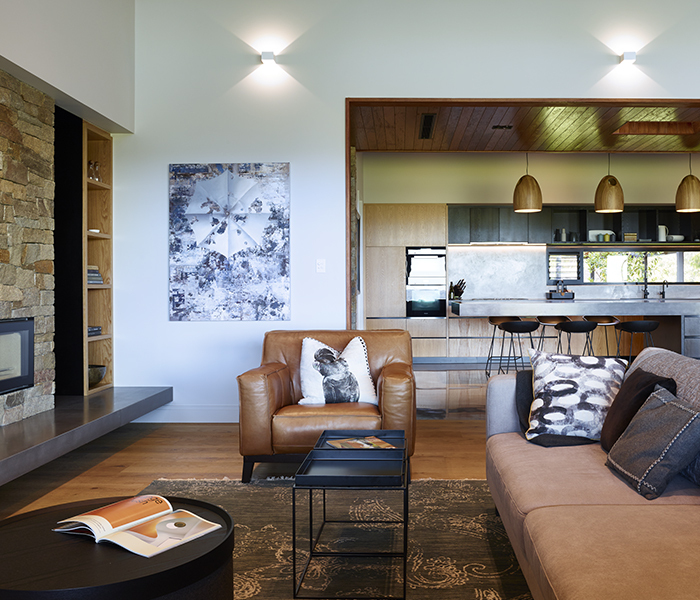 Located west of Maleny in the Sunshine Coast hinterland, nestled between the tree-covered hills, this award-winning rural home is modern in design yet traditional in its appeal. 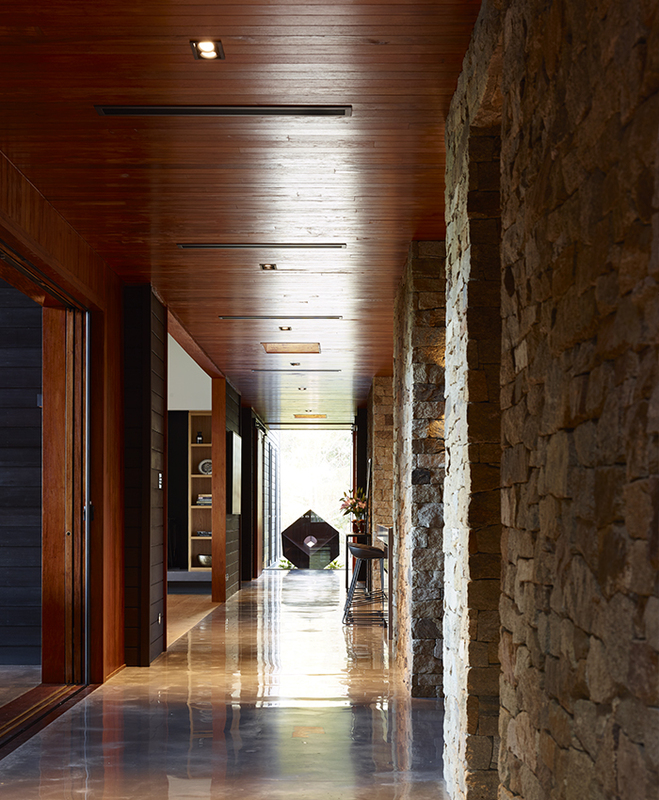 Two Roads residence is almost out of sight, tucked as it is into the hills, inconspicuously positioned to forge a connection between the home and the earth. Surrounded by thickets of gum trees and grass, the property basks in panoramic views of the lush, green Sunshine Coast hinterland. Designed by architect Matt Cooper of Aspect Architecture in a collaborative relationship with the clients, and expertly constructed by Mosaic Construction – part of Mosaic Property Group – this home is far from a humble farmhouse – which is why it won Mosaic the Best Interior Design, Best Bathroom Design and Best Custom Built Home in the over $2 million class awards in the HIA Queensland Housing Awards, as well as the coveted major award: 2016 Home of the Year. The 110-acre property is home to a young family and their Brangus cattle and quarter horses. 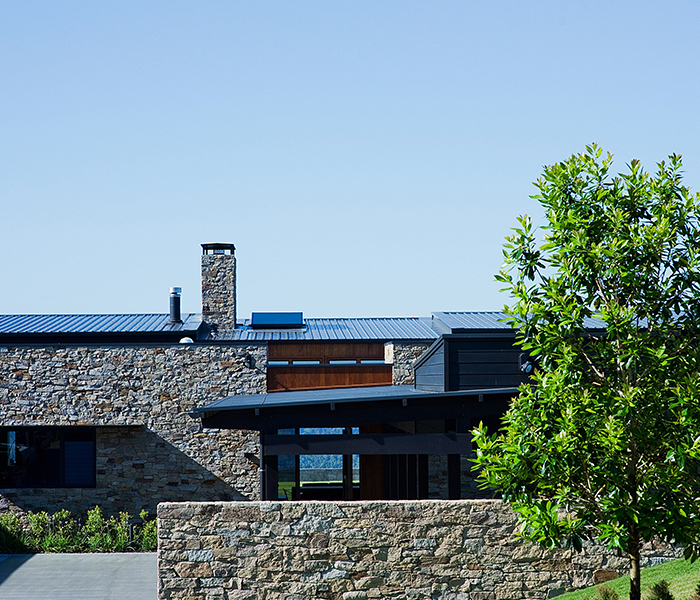 Naturally, the farming family has a close connection to the land and its beauty, and it was crucial to them that the home was designed and built with the greatest respect for the landscape and the environment. The bespoke home has intent; nothing was left to chance, with the entire project well researched and, where needed, elements were individually crafted (three stonemasons were onsite for nine months ensuring each piece of stonework was hand scribed). The result is a stunning and progressive build that’s both stylish and sustainable. 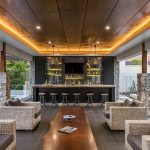 Solar panels were used throughout the property to generate electricity and to heat the family’s water, while thermal mass is produced through the use of concrete flooring and stone clad masonry walls. The family has also included an Envirocycle sewer system which allows them to recycle their waste water. And finally, rainwater tanks, which can hold up to 300,000 litres of water, were installed on the property. Each element ensures the family is continually moving towards becoming environmentally neutral. The home itself is made up of several pavilions, boasting six bedrooms and five bathrooms and personalised zones for the growing family, allowing them all to interact together for different reasons in different parts of the house, or find their own secluded space when needed. 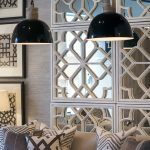 The pavilions are expertly positioned, designed to enhance airflow and to create circulation, allowing the home to cool or warm naturally, no matter the season. 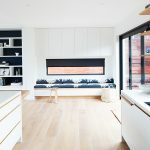 The kitchen is the standout space in the home: minimal, bold and attuned to the setting and atmosphere with its polished cement floors, skylights to capture natural light and a spectacular 4.5-metre cantilevered concrete island bench – a “feat of engineering in itself due to its sheer weight,” says Mosaic’s managing director, Brook Monahan. 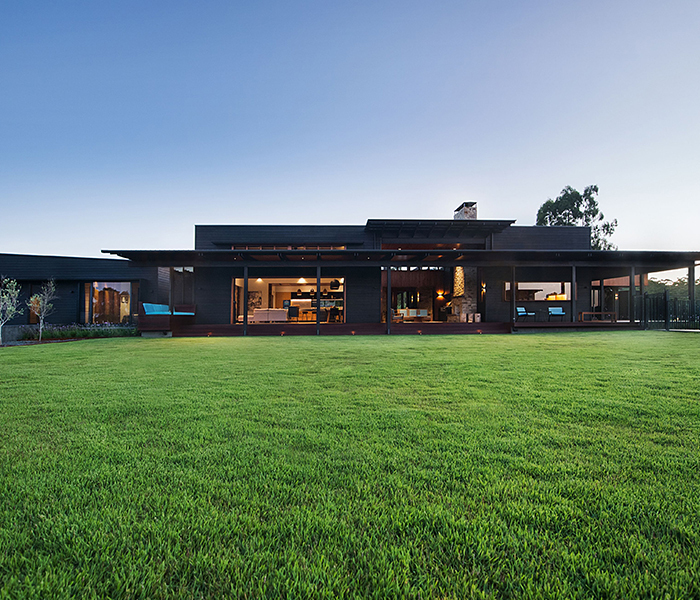 The earthy colour palette showcased throughout also reflects the surrounding environment, ensuring the connection to the land is not lost once you’re inside. As you step out onto the wraparound veranda – a nod to Australia’s traditional farmhouses – strikingly green manicured lawns capture your eye, and a beautiful pool and tennis court are all just a quick walk away. Guest cabins, sheds, workshops, a manager’s residence and a horse arena and cattle yard complete the working property. 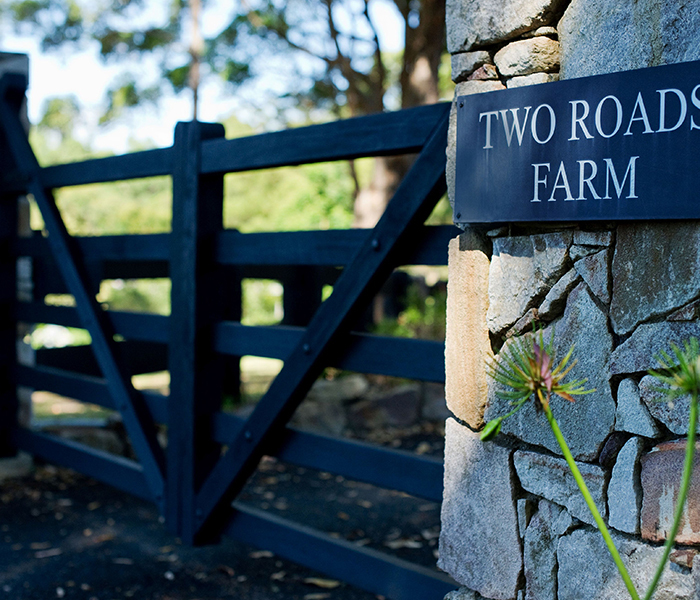 There’s a lot to take in at Two Roads but, even when you look beyond the bells and whistles, this property naturally shines. The spectacular scenery always commands your attention – the untamed bush takes hold, and an unforgettable view of the vast Blackall Range is all the eye can see. Nothing about the home is overly flashy. 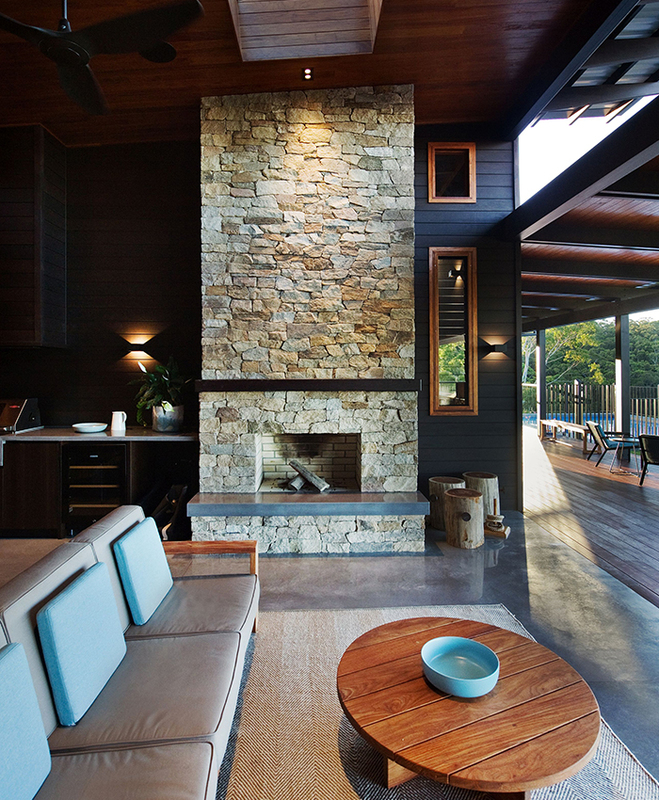 Instead, it’s subtle in its beauty, fulfilling the owners’ desire for an earthy, warm space. At every point in the design, simplicity has been expertly embraced, from the colour palette to the material choices. 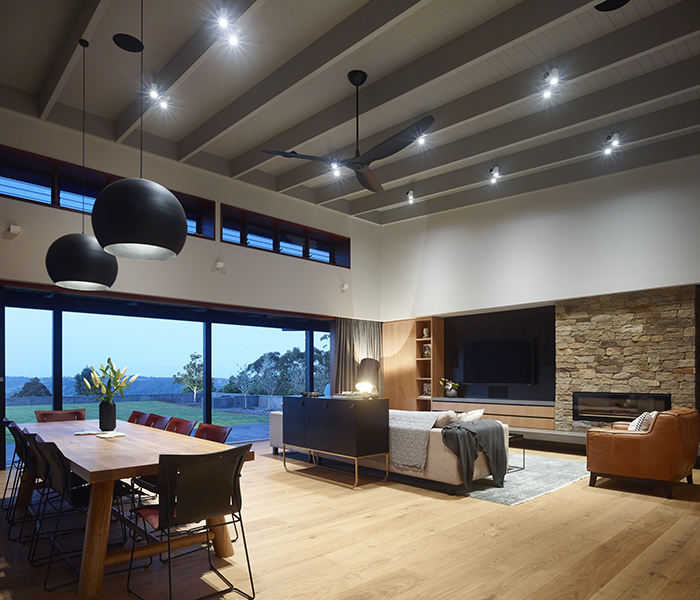 Two Roads is not just a modern rural home designed to suit a young family’s growing needs, but a boundary-pushing build worthy of accolades.